Peru is known worldwide for its natural and scenic beauty. The country has the access to the famous Amazon Jungle. Peru is also quite famous for the specialized Amazon Rainforest trips and Tours. Lot of nature loving travelers from all across the world comes to Peru to get the unique experience of the Peruvian Amazon Jungles. The Amazon Jungle in Peru is gifted with different and exotic breeds of wildlife, plants and trees. Such a wonderful experiences of jungle between the heights of the trees as canopy walking, sharing moments with some native communities or deepen a spiritual and mental level mystical ayahuasca sessions Peru Amazon Jungle Tours business is known well for offering specialized tour packages to international tourists. Peru Amazon Rainforest Tours include various exotic and beautiful destinations and sights that the tourists visit. The cruise ship trip in Amazon River is one of the most sought after and most preferred service that the tourists take interest in. Ideal for all types of travelers and nature lovers specialized in ecology and conservation, scientists and researchers from around the world and strengthen the tourism share knowledge with local guides doing volunteer work. The Amazon Cruise starts in murky waterways while the amazing journey people get to know about different exotic plants and trees along with them their healing properties. 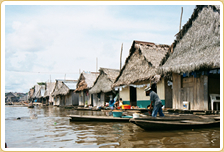 The tour begins with Iquitos Rainforest Cruise; Iquitos is the largest city in nearby Peruvian Rainforest. The city is located alongside Amazon, Nanay and Itaya rivers. Iquitos is host to some of the most beautiful natural and scenic beauty. The next destination is Tambopata Reserve Tours; Tambopata is a nature reserve known well for its diverse wildlife, plant and trees. Tambopata is most famously known for different breeds and types of macaws. Once completed the tour of Tambopata the tour proceeds towards Manu reserve. Manu national park is known to be the host of more than 20000 species of flora. Known for various wildlife and other species. 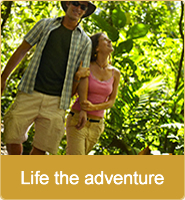 Manu Reserve tour Package is in high demand among the nature loving travelers. Lux Amazon Cruise 4 Days. 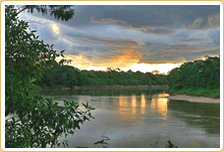 Tambopata National Reserve 3 days 2 nights – Inotawa Lodge. 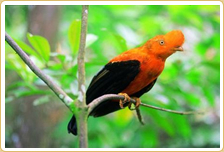 Tambopata National Reserve 4 days 3 nights – Inotawa Lodge. Manu Biosphere Reserve 6 days and 5 nights.